We use Jira as our main project management tool. Thanks to Jira, we can maintain an agile iteration flow with minimal hassle. Managing our teams’ work is straightforward, because everyone can see the work items assigned to them. Because we see each others’ assignments, we can keep our work transparent, which means that it’s easy for others to help us when we get stuck. We are also more likely to get a timely response from the client or product owner, since they see changes as they happen. A nice trick for Jira is eazyBI, a powerful plugin available on Atlassian Marketplace. You can use custom reporting to gather insights about a project or team. Jira is perfect for project tracking for any team that uses the agile methodology. The interface is intuitive and customisable – it instantly shows you the information you need. We also like to use it for managing project managers’ daily tasks. We can plan our work easily, manage deadlines, and track progress in each project. Because of its size and capabilities, Jira can be intimidating. The configuration and learning all the options is a time-consuming process. Once it's done, however, working with Jira gets easier – it might be a good idea, then, for more experienced PMs to set it all up. Trello is one of the simplest and easiest-to-use tools for managing team progress and collaboration. It lets you create and track tasks, assign people to them, share files, and – best of all – you can open it in your browser or use the phone app and get instant access to all the information you need from anywhere. It also allows for integration with the rest of our toolset and has made our lives easier thanks to its automation features. Trello’s main weakness is that tracking multiple projects in it is not easy, and neither is tracking a more complicated flow. It’s the price you need to pay for the tool’s simplicity, though. Netguru’s PM team no longer uses Trello, but many other teams within the company do so and have no complaints. Also, knowing Trello well can be a big advantage. Functionalities like voting, stickers, and card ageing, are fun and useful. They get interactions started and help maintain engagement. Slack might very well be the most popular team communication tool. It has all the necessary functionalities: instant messaging, voice and video communication, screen sharing, and a wide selection of emojis. It’s easy to separate discussions by topics (or channels) or get the attention of a particular group of co-workers through custom mentions. At Netguru, we love Slack for its integrability with our main toolkit: Trello, Jira, and Salesforce. We can also use all the notifications we need, e.g. from Rollbar or CircleCi. We use Slack for internal communication, and to let clients and their teams talk in a friendly environment. Allowing developers to pose their questions directly to the client is a huge win in itself. It’s not just about a reliable and smooth information flow – Slack also makes it possible for both sides to care more and see each other as human beings. Shared channels, e.g. workspaces shared between clients and their product teams, are still a beta feature, but we find them extremely useful. Slack’s video and voice calls are among its few disadvantages, as the whole app sometimes freezes during a call or right after. Audio issues are also not unheard of, but a quick restart usually fixes those. Slack can also be a bit overwhelming. It’s a good idea to learn to snooze and mute notifications to filter out the noise. Also, using mentions (especially @here and @channel) responsibly is a big deal. Google’s toolset is a wonderful thing for anyone who needs to cooperate with a team and partake in file sharing. We use Google Docs for writing, Slides for presentations (both internal and external), Calendar for setting up meetings, Mail for obvious reasons, Forms for collecting feedback from the team, Meet for remote team meetings and workshops, and much more. It’s very convenient to have everything in one place and in the cloud. All of Netguru uses Toggl to track both billable (paid by clients) and non-billable working hours. It is very simple to separate hours into categories, as well as into projects, and it takes very little effort for each team member to check in and out as they start and finish their day, or switch between tasks and projects. A small disadvantage of Toggl is that it can crash sometimes, but it’s still one of the fastest tools of this kind that we’ve seen. Quality Assurance is a crucial element of Netguru’s development process. Ideally, each development team has at least one dedicated QA specialist. Rollbar allows us to see how frequently bugs, errors, or warnings appear on production and staging servers. We can find out which bugs occur most frequently and exactly when (date and time). These data can help QA specialists and developers investigate the reasons behind particular issues. Simply put, bug detection and removal is easier and so fast that the client often doesn’t notice that there ever was a problem. This tool lets us track code quality and test coverage. Developers can define hotspots and discuss possible improvements with the whole team, including the client, while presenting relevant data. We can quickly react to decreasing code quality and make sure all our applications are thoroughly tested. As a company that puts a high value on communication and transparency, we make our GitHub repositories visible to clients. Aside from building trust, GitHub is also a fantastic tool for keeping track of developers’ commits, managing team members and getting access to our staging environment. A project manager can react quickly to a lack of commits and help developers in solving non-technical problems. 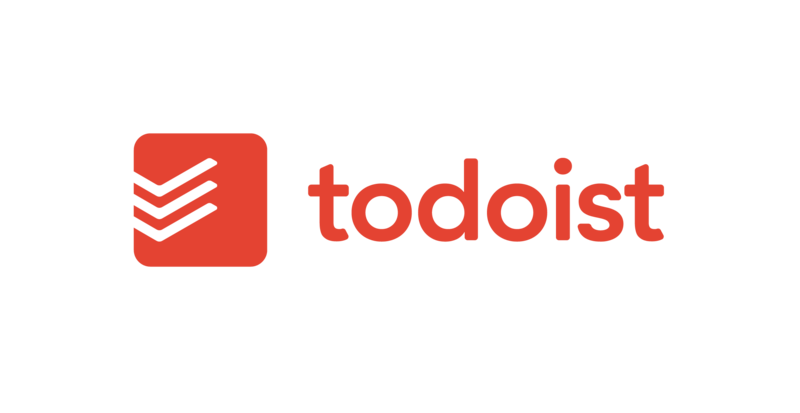 Todoist can help you maintain control over stuff you have to do. It allows for planning out tasks ahead of time and setting priorities for them. You can also get better value for money if you’re smart about it. Todoist grants you a 3-month premium package for free if you use it enough. It’s a fantastic note-taking tool. It’ll help you store your thoughts, notes, and snippets of important information all in one place. It will make them accessible online from several devices. These are some of the more interesting and popular project management tools out there. You might have noticed that our choices rank among the most popular ones on the market. This is because it’s generally best to use tools known by as many people as possible, especially if a tool’s learning curve is particularly steep. It’s just as important, however, to use a tool well-suited to your workflow and process, so don’t feel pressured to use Jira just because it’s popular. If you think there’s a tool that should be on this list that we’ve missed, let me know! We’d be more than interested to learn about the favourite project management tools of other people in the IT industry.